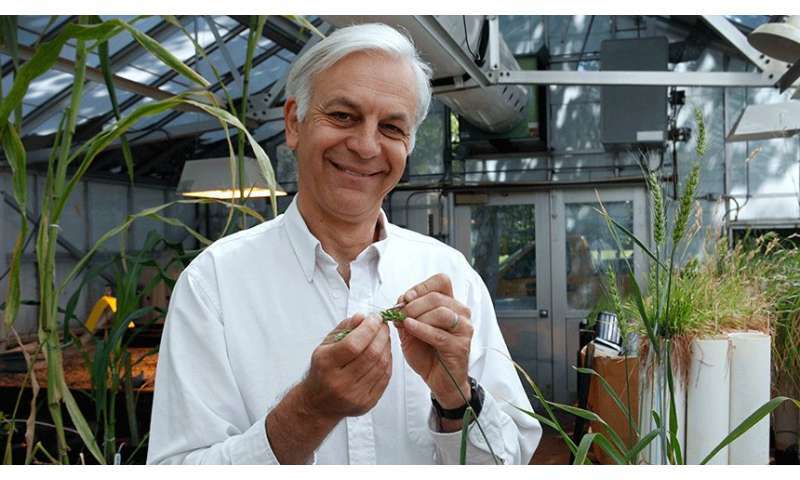 The discovery by UC Davis wheat geneticist Jorge Dubcovsky and his team will help breeders more quickly develop varieties that can fend off the deadly pathogens and halt a worldwide wheat epidemic. The findings were recently published in the journal Proceedings of the National Academy of Sciences. Wheat and stem rust have been in an evolutionary arms race for more than 10,000 years. In the 1950s, a major epidemic of the disease spread through North America and destroyed up to 40 percent of the wheat crop, the world's second most important grain next to rice. Since then, scientists have developed rust-resistant varieties to boost wheat's immunity to stem rust. But the pathogens are making a comeback. A new strain of the stem rust—called Ug99 after it was discovered in Uganda in 1999—is spreading throughout the region. About 90 percent of the wheat varieties grown worldwide are susceptible to Ug99. "Ug99 has expanded to most of the wheat-growing regions in Africa and has crossed the Red Sea to Yemen and Iran," said Dubcovsky, a professor with the UC Davis Department of Plant Sciences and a Howard Hughes Medical Institute investigator. "Ug99 is now at the door of the Punjab region—the bread basket of Asia—and identification and deployment of effective resistance genes are critical to mitigate this threat." "Wheat provides a substantial amount of calories and proteins consumed by humans," Dubcovsky said. "We hope that a better understanding of the wheat-rust pathosystem will speed the development of new strategies to control this devastating pathogen."